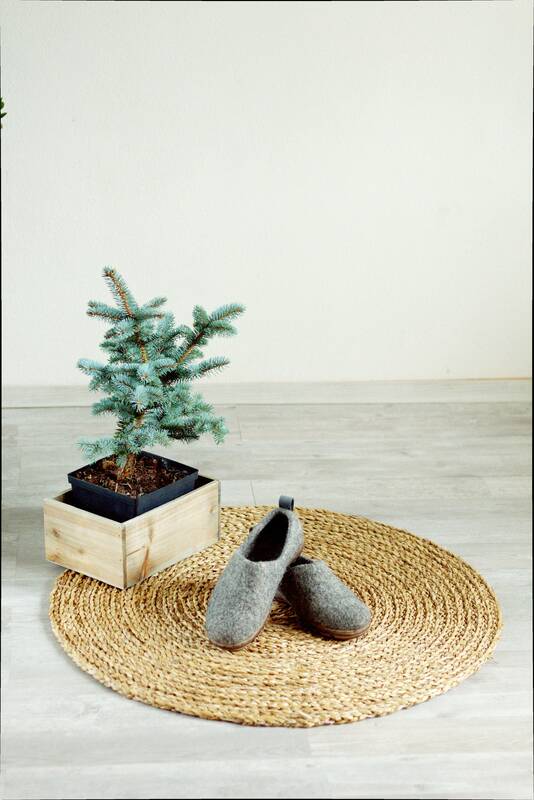 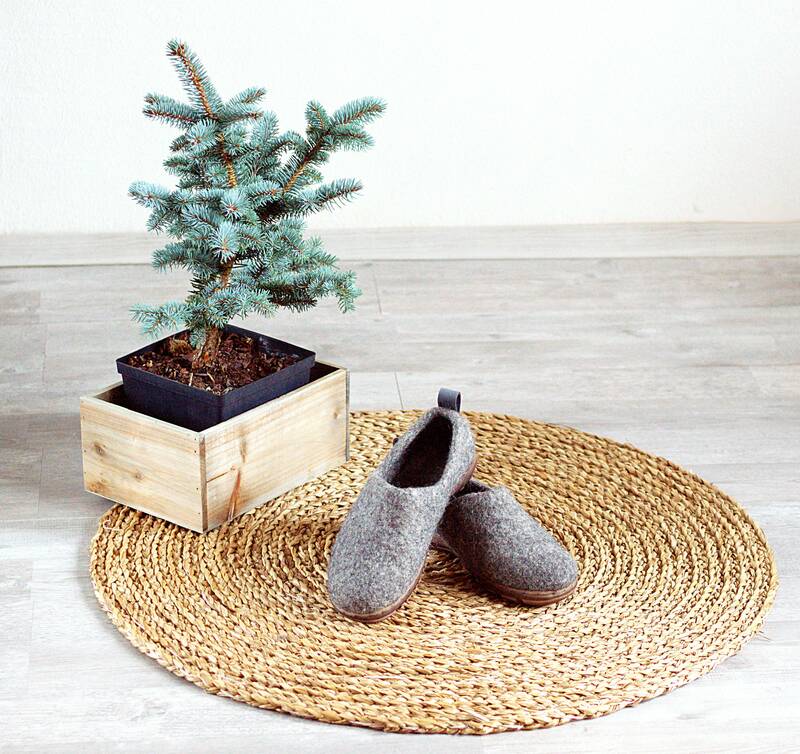 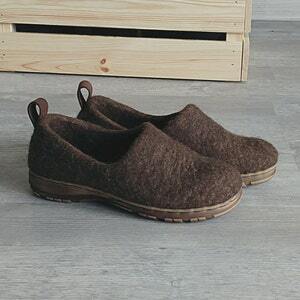 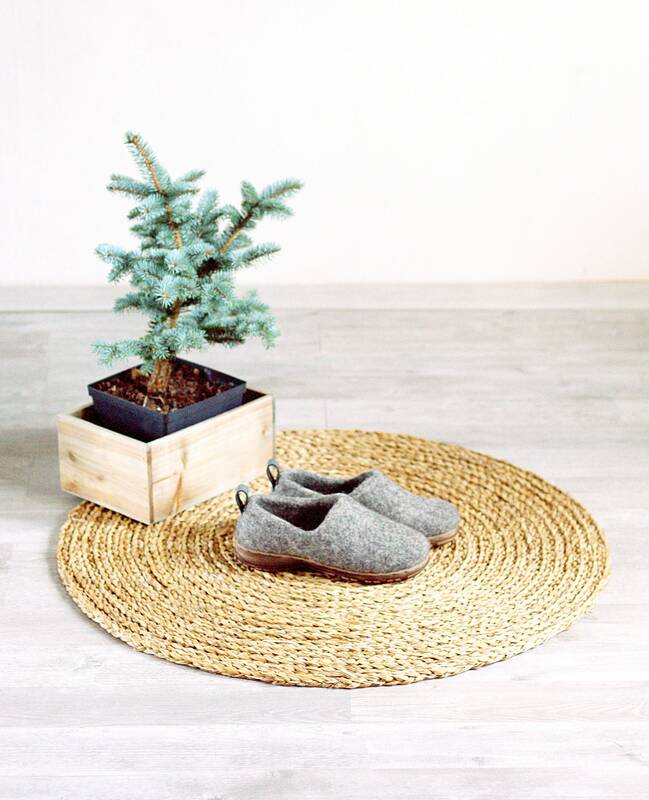 Felted wool clogs are handmade warm footwear. 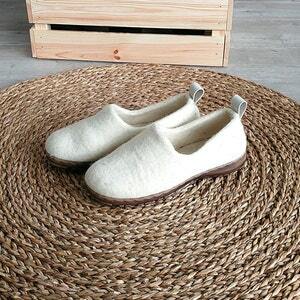 They are made of organic un-dyed not chemically treated wool. 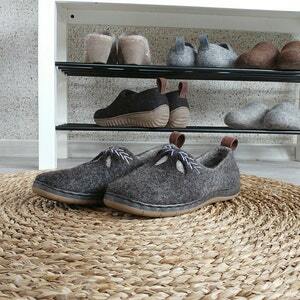 I felt these clogs using wet felt technology – only olive oil soap and hot water is used in the process. 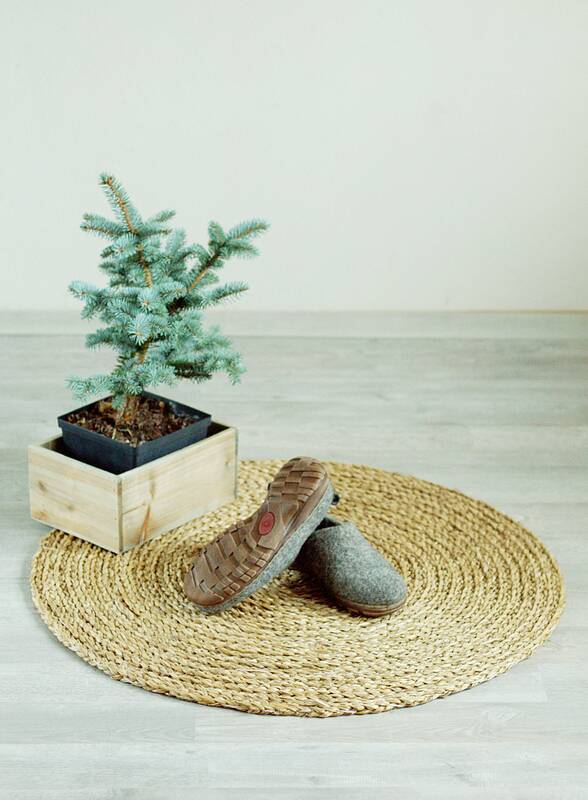 Rubber soles are are glued and stitched to the clogs. 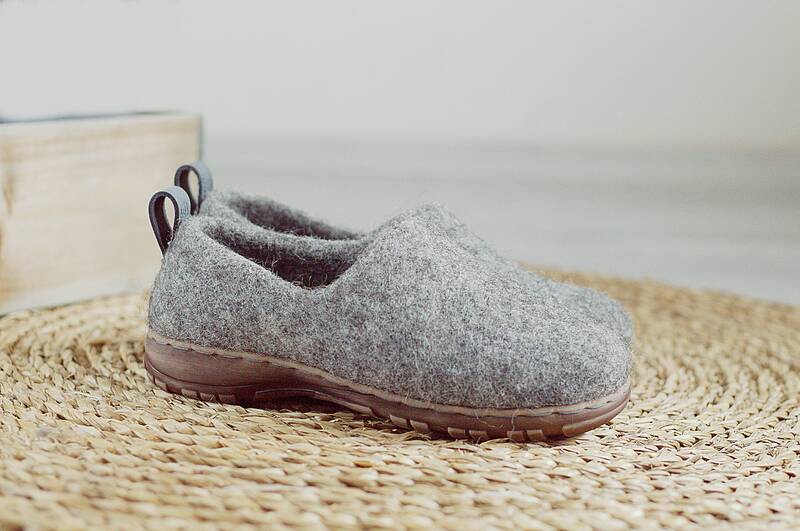 Felted wool shoes are very warm, soles makes them suitable for outside wearing. 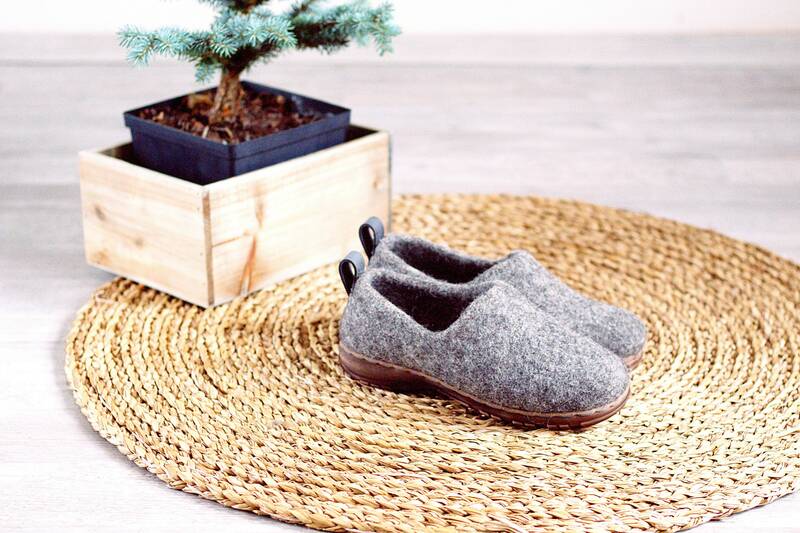 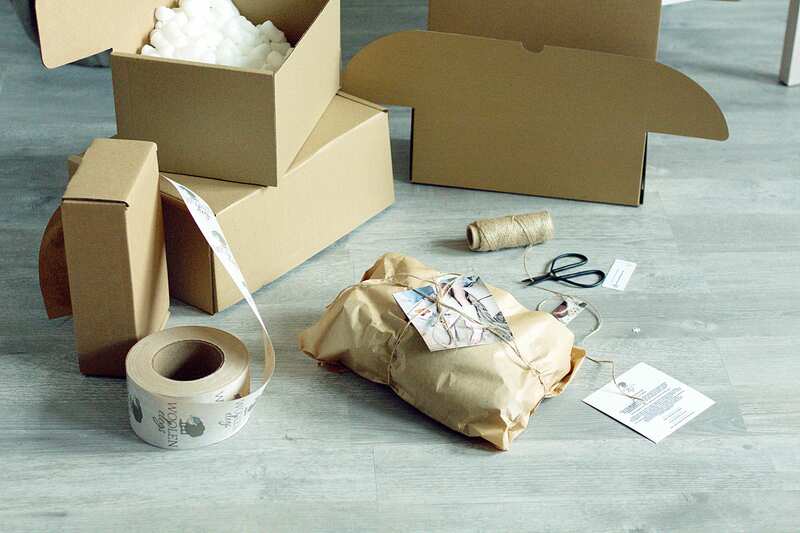 100% wool felt is breathable, provides natural insulation, keeps your feet warm and cozy. 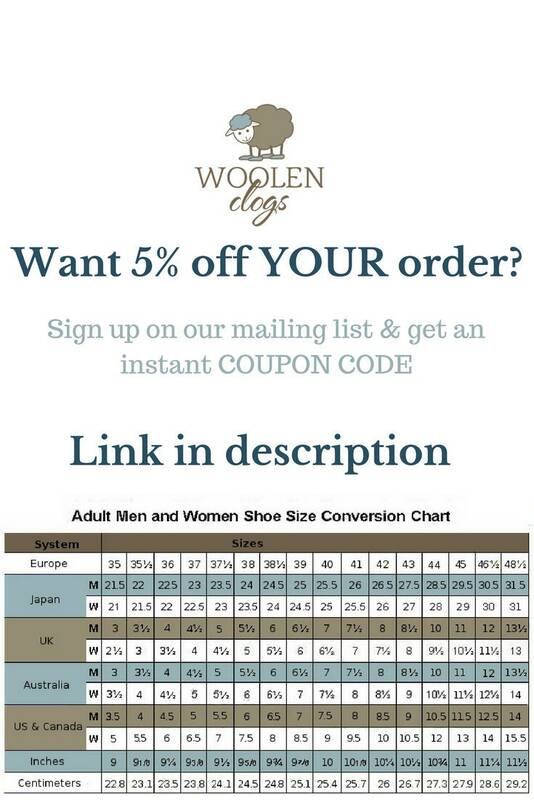 Choose the equivalent of European size from the size chart given in picture 5. 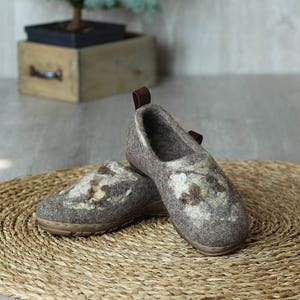 Wear felted footwear – the feet are warm, and the sheep are intact!